Xiaomi isn’t just a smartphone brand, as it has a wide variety of IoT and smart devices, including a portfolio of lifestyle products and personal transportation vehicles. The company entered the projector business last year with the launch of its premium Mi Laser Projector with an impressive 150-inch display size. However, unlike most Xiaomi products, the Mi Laser Projector is quite expensive, coming in at 9999 Yuan (over Rs. 1.05 lakh). In a bid to offer a more affordable option to its fans, Xiaomi has now launched a cheaper projector under its MIJIA brand. 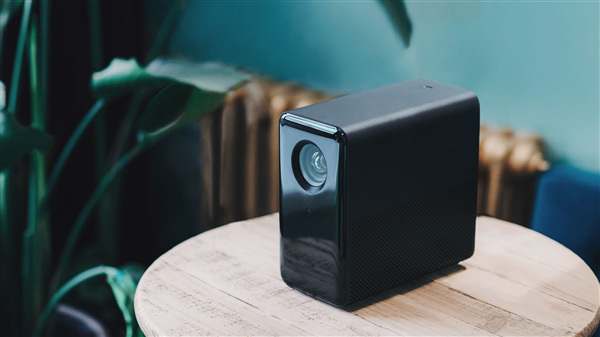 The newly launched MIJIA projector, according to a recent report from Gizmochina, features 2.07 million reflective lenses which utilize a new light-oath design to increase its projection brightness by 5 percent. The projector is capable of displaying images on screen ranging from 40 inches to 120 inches from a 3 meter distance and is powered by OSRAM’s P1W/A lamp beads which give it a peak brightness of 800 ANSI Lumens. The highly effective lamp is capable of projecting crisp images even during the day and has been rated for a shelf life of 10 years, so you don’t need to worry about replacing it frequently. Additionally, the MIJIA projector comes with HDR10 support, which greatly improves the brightness and contrast of any projected image. 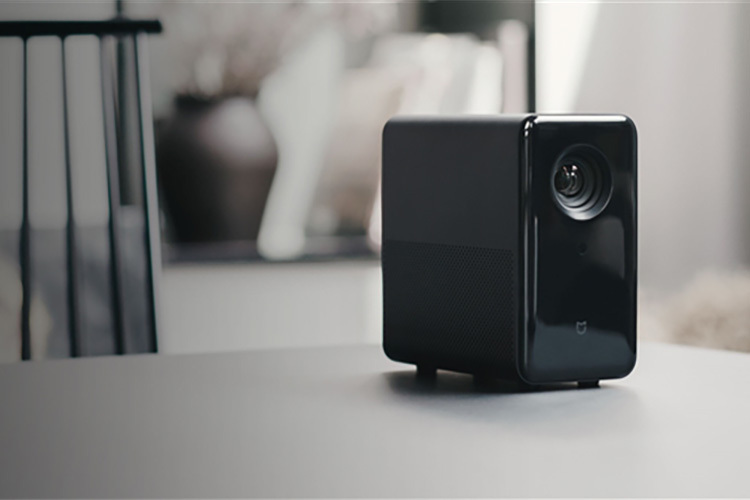 The compact body of the MIJIA projector packs in a 2-inch 10 Watt dual speaker, using which the projector provides cinematic sound effects along with the images. The projector also comes with autofocus support, allowing it to accurately focus on the screen within 3 seconds of being turned on. The MIJIA projector runs on Xiaomi’s PatchWall software system which is also found on its Mi TV series. And just like the company’s smart TVs, the projector also comes with a ton of interactive content bundled into the operating system along with voice control for hands-free use. 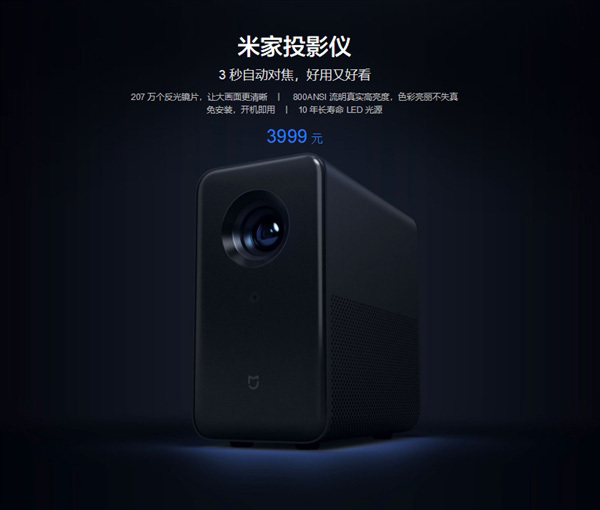 The new MIJIA projector has been priced at 3,999 Yuan (~Rs. 42,300) and will go on sale in China via Xiaomi Mall, Youpin, JD.com, Tmall, Suning, and other online channels from June 1.